What Happened to Fox News Contributor Steve Hayes? Steve Hayes has been a staple in Fox News panels, particularly giving invaluable insight on the Special Report with Bret Baier. And his name on the terror watch list made for a running joke on the network. But the long-time contributor is bidding farewell to his TV home of more than a decade. Why is Steve Hayes leaving Fox News? The journalist is taking time off to focus on his family. Where Is Steve Hayes Going? 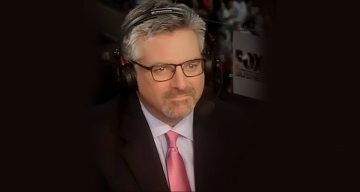 American journalist Steve Hayes from Wisconsin has made a prominent appearance on pretty much every major broadcasting network, including CNN, BBC, MSNBC and C-SPAN. His most memorable stint, however, is as a contributor on Fox News. He’s now the editor-in-chief of The Weekly Standard and has been a staple on the panel for Special Report with Bret Baier. However, his run at Fox News has come to an end. In the latest broadcast of Special Report, Bret Baier revealed that Hayes is departing from Fox News. He is taking a break from TV appearances and Washington D.C. to move to Europe. Hayes resides in Annapolis, Maryland with his wife and their four children. But the family will be spending some much-deserved quality time together in Spain for a year. The Columbia graduate is particularly memorable for landing on the Department of Homeland Security’s Terror Watch List in 2014. He was singled out and subjected to extra security screening at airports, until he figured out he was on the list! Hayes’ colleagues at Fox News, including the late Charles Krauthammer, never let him live down the “No Fly List” joke. Even Fox News’ touching farewell montage to Hayes revived the gag! “@JonahNRO: Can't believe I'm sitting in same chair as suspected terrorist @stephenfhayes” Sympathizer!! I think I need a panel watch list! Baier wished Hayes a bon voyage on behalf of Fox News and its viewers. They both reiterated that Hayes’ absence would only be temporary. Steve Hayes will continue his job at The Weekly Standard, except we won’t be seeing him on TV as often. He might be back at Fox News after a year.